And it was the drug of choice for nightly visitors to the emergency room at Los Angeles County-University of Southern California Medical Center back when I was an intern. We had a lot of patients, mostly destitute and alcoholic, who'd come in on a regular basis, complaining of this or that hurting. I learned early on from the residents and attendings that in order to get people seen who really did have emergencies, a strict "5 minutes or 5 problems" rule had to be invoked for those who didn't. That is, a patient had 5 minutes to tell his story, or he could name 5 problems, and then the physical examination began, no exceptions. For these nightly regulars who wanted, above all, some sort of prescription, some medication, some pill, there was Obecalp. We had Obecalp Red; Obecalp Green; Obecalp Yellow; and, for those resistant, impossible-to-treat patients, the über-capsule, Obecalp Purple. Each Obecalp was a huge, powdered-dextrose[sugar]-filled capsule that a normal human could barely swallow. Those purple ones were downright scary looking. But they did the job of sending the patient away satisfied. Think that's terrible, what we did? Hey, we were simply decades ahead of our time. Denise Grady wrote an article about the controversy that continually swirls around the use of placebos; it appeared in the September 28 New York Times Science section. Most people have heard of the placebo effect, in which patients given sugar pills feel better because they think the pills are medicine. But few would like to be on the receiving end of a placebo: a person who asks for a painkiller wants the real thing. The medical profession, at least officially, frowns upon prescribing placebos, because it usually involves lying, implies disrespect and can destroy trust in doctors. Some hospitals ban placebos, except in experiments, and then participants must be told that they might be given inert pills or shots. A new survey, though, suggests that the profession may not always practice what it preaches. In the survey, of 89 doctors and nurses in Israel, 60% said they had given patients placebos. Many said placebos could sometimes work, and more than a third reported prescribing them as often as once a month. The patients given fake medicine included women in labor and people suffering from pain, anxiety, agitation, vertigo, sleep problems, asthma and drug withdrawal. Most had no idea that they were getting placebos. Among the prescribers, 68% told patients they were receiving real medicine, 17% said nothing at all, 11% said the medicine was "nonspecific" and 4% told patients the truth. Asked why they prescribed placebos, 43% said patients had made "unjustified" demands for medicine; 28% did it to test whether a patient's symptoms were real or imaginary; 15% hoped to buy time before the next dose of real medicine; and 11% said their reason was "to get the patient to stop complaining." The doctors who conducted the survey said they had expected that no more than 10% of those who responded would have used placebos. "This is apparently a common practice," said Dr. Pesach Lichtenberg, a psychiatrist at Herzog Hospital and Hadassah medical school in Jerusalem. He conducted the survey, with Dr. Uriel Nitzan, at two large hospitals and various community clinics in the Jerusalem area. Their report was published online on September 17 in the British Medical Journal. The notion of a placebo effect dates at least as far back as Hippocrates, who observed that certain gravely ill people seemed to recover through sheer "contentment" with their doctors. Thinking the mind could heal the body, later physicians sometimes tried to help it along by giving inert pills or powders to sick people they could not otherwise help. Today, some researchers are studying the placebo effect, while others doubt that it even exists. In a telephone interview, Dr. Lichtenberg said he thought the placebo effect was real, could sometimes help patients, and could do so more safely than many drugs. "I think the placebo has a legitimate place in medical treatment," he said, but he added that it was wrong to lie to patients. "There are certain ethical questions," he said. "Do you tell a patient, 'I'm giving you an antibiotic or a painkiller,' when it's not? Or do you tell them, 'You are getting an agent which has been proven effective repeatedly in research, which will help you feel better; we're not exactly sure how it works, but it has been shown to cause changes in brain imaging, to have physiological effects in the body and we are confident you will get relief?' Do you say something like that?" Dr. Lichtenberg said he became interested in the placebo effect because he had been helped by it himself. He had suffered for years from repeated throat infections, and consulted a friend who practiced alternative medicine. "He spoke to me for five hours," Dr. Lichtenberg said, recalling that he free associated about his throat and described being made to sing as a child for his elderly aunts. The friend told him that he would become slightly ill and then recover. That was exactly what happened, Dr. Lichtenberg said. 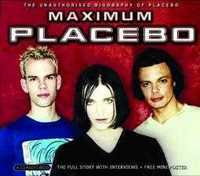 The experience convinced him that there was something to the placebo effect. He said: "People in our day and age are surprised that a nonpharmacologic intervention could be useful, and I think that ultimately is the message of the placebo effect. There are other ways of bringing comfort and succor to a suffering patient." A survey of Danish doctors published in 2003 also found that many of them prescribed placebos, but Dr. Lichtenberg said it was not known whether doctors and nurses in other countries behaved the same way as those in Israel and Denmark. Dr. Robert M. Wachter, chief of the medical service at the medical center at the University of California at San Francisco, said in an e-mail message, "The use of placebos in day-to-day clinical care is virtually unheard of in the United States." He continued, "They are thought of as a subtle form of deception - both unethical and potentially creating a small risk of a malpractice suit." But Dr. Wachter also said that every doctor knew about the placebo effect and that it accounted for much of the benefit people got from antidepressants and all of the benefit from antibiotics taken for viral infections, which are not affected by the drugs.
" 'Take this - I'm sure you'll feel much better' is a placebo maneuver," Dr. Wachter said. "But in the U.S., it would be accompanied by a real medicine, not a sugar pill."